Does this look blurry to you while close to your monitor? Try looking at it from across the room. My full sized version looks just like a photograph of this pitcher and sometimes even I have to get close to see the blur. Check it out for yourself from at least 10 feet (3 meters) away from your monitor. 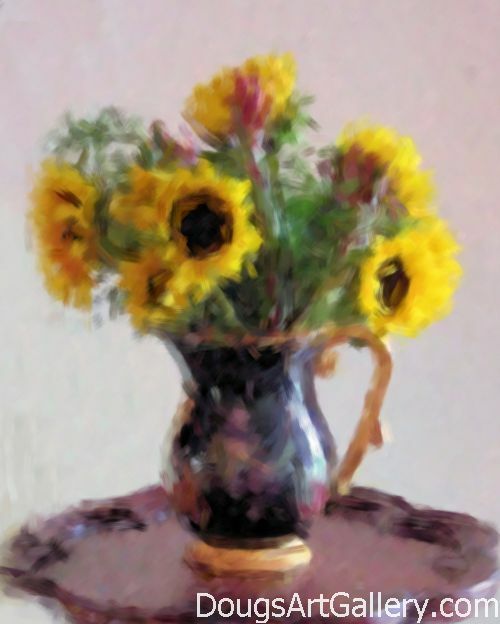 Click here to leave Sunflowers Image for more links to artists and their online art galleries, art prints and art posters. Browse the links found at the bottom of Home Page.